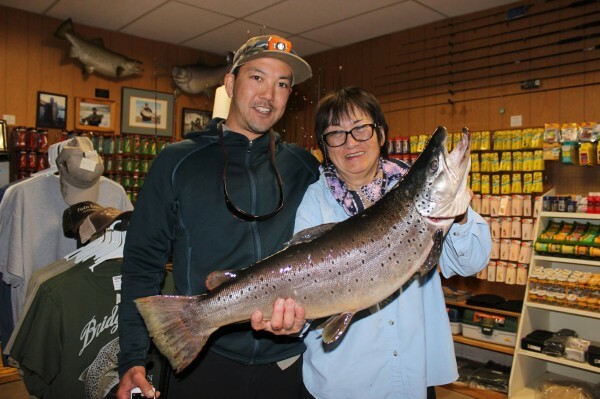 TrophyTroutGuide.com - Brown Trout/Craig Kojima put his mom on this killer 11.5 hookjaw from Lower Twin Lake. Congrats to you both! Craig Kojima put his mom on this killer 11.5 hookjaw from Lower Twin Lake. Congrats to you both!